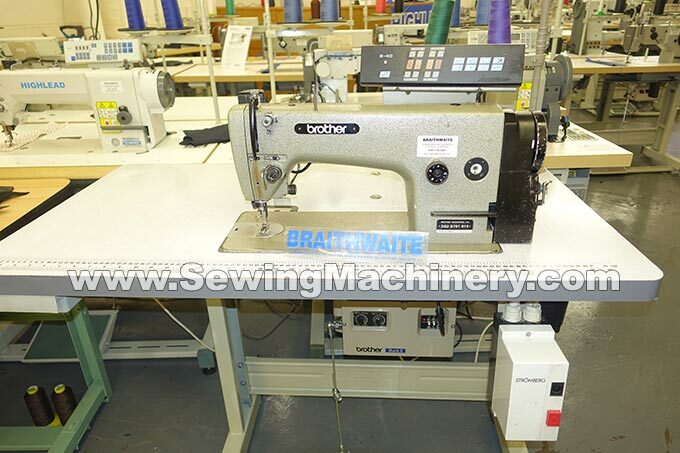 Brother B791-915 MKII single needle lockstitch sewing machine with needle feed, auto under bed thread trimmer, auto reverse and stitch control panel. 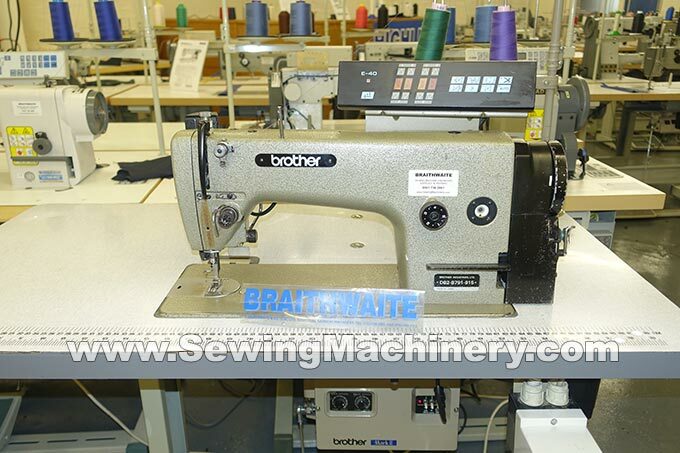 Brother electronic needle position servo motor (quiet type) with E40 digital stitch control panel. Quality Japanese made Heavier sub-class 915 model. Serviced and tested with 3 months used machine warranty.